If you see the Andaman and Nicobar Islands on the world map you’ll feel like this is the isolated islands and the separated one. But actually, one state in India and once used to be the British colony. For knowing the tragic history behind Islands all should visit Cellular Jail (Kala Pani) here, located in Port Blair, the capital of the Andaman and Nicobar Islands. Andaman and Nicobar are one of the most picturesque, natural and pristine islands in the world. It was a thrill experience to visit the Andaman Islands this end of the May, yeah I traveled during monsoon but trust me this islands even beautiful in this season and actually nature comes with different looks in different seasons. You just got to see and feel the beauty of the Andaman Islands. The Andaman and Nicobar Islands are 1400 km away from India and connected with the Bay of Bengal (West) and Andaman Sea (East). Myanmar and Thailand are nearer to Andaman and Nicobar. There are 572 islands and islets but only 34 – 36 islands are populated. The Andaman Islands are the most popular among tourists which divided into North, Middle and South Andaman. South Andaman is the most visited tourist destination here. Foreigners are not permitted to visit the Nicobar Islands. 1.11 Like This Post? 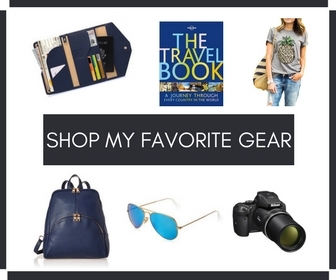 Click To Save To Your Pinterest Board! The Andaman Islands are the perfect destination for adventure and nature lovers. This is also a romantic destination. You’ll be surprised to see its beauty in many forms. There are not only many beaches and islands here, you’ll love to see the lush green dense forest of the popular Mahua trees and many unknown trees around the Islands. Here much more area (86.02% ) is covered by forest. 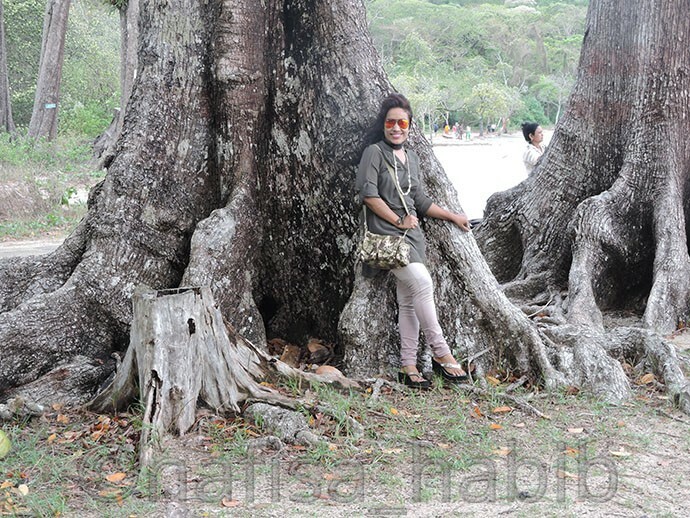 You’ll see many uprooted big trees on the beaches and amazing greeneries with turquoise waters created a mesmerizing beauty in the whole Andaman Islands. The entire islands’ beauty is so picturesque and divine. Here you’ll find so many objects to capture with your camera, and I loved with my Nikon Coolpix P600 and iPhone 6 Plus. 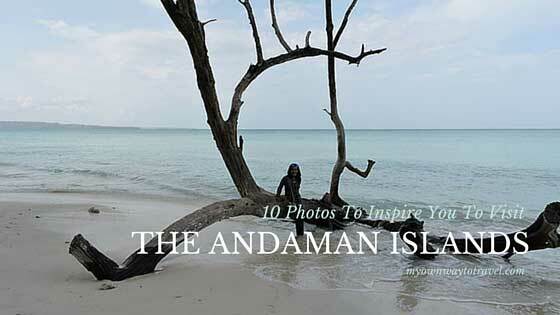 Here 10 photos to inspire you to visit the Andaman Islands. There are many things to do and see in Andaman. And there is no chance to be bored in the pristine Andaman Islands. 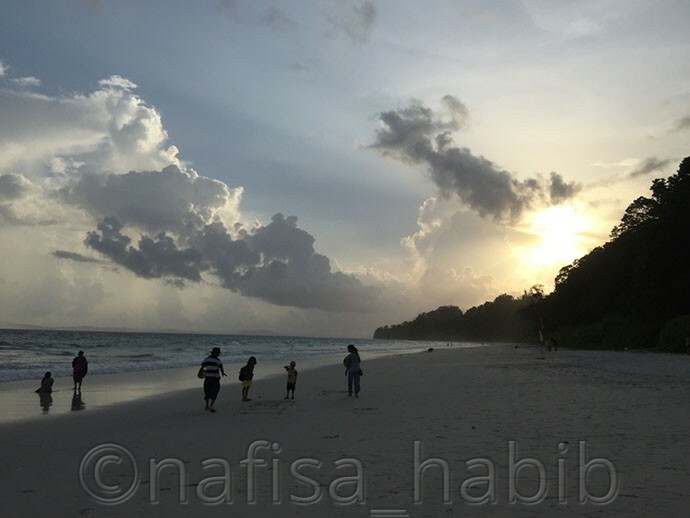 Kalapathar Beach is in Havelock Island is best for sightseeing and you’re definitely going to love the greenish-blue color sea waters which are clear and beautiful as well. 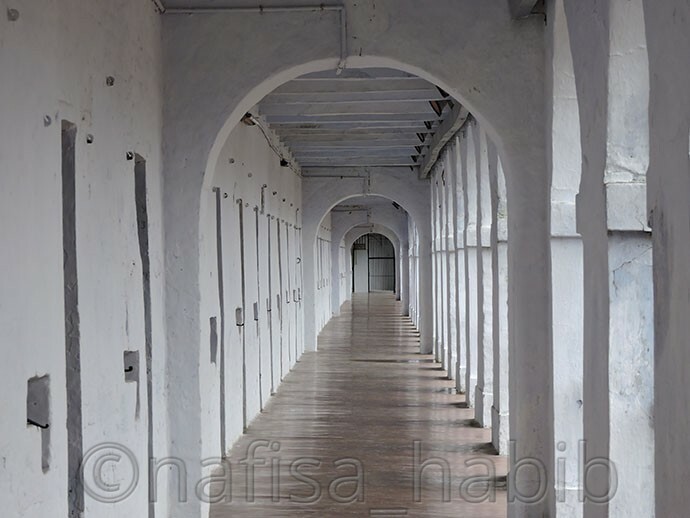 Cellular Jail in Port Blair holds the tragic history. This jail consists of 693 cells and each one measuring just (13′.6″ x 4′.9″)! Many freedom fighters sent to this jail as they worked for the independence of India. Radhanagar Beach in Havelock Island is the world famous and best beach in India. This is a white sandy beach with azure-colored water and you just should not miss the evening sunset beauty over here. The Andaman Islands are famous for many water activities. Scuba diving in the Andaman Islands can be your lifetime experience. I had no idea I’ll be able to do it in Havelock Island without any pre-experience of swimming. 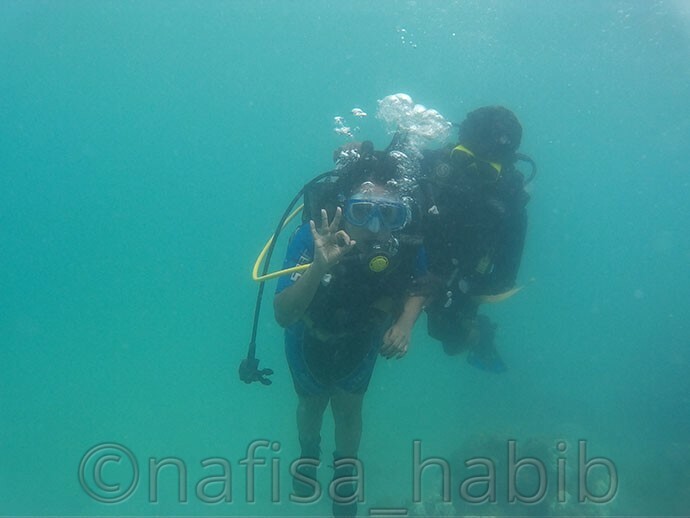 It was amazing to see another world under the water with many coral reefs, colorful fishes. The underwater marine ecosystem in the Andaman Islands is best for scuba diving. 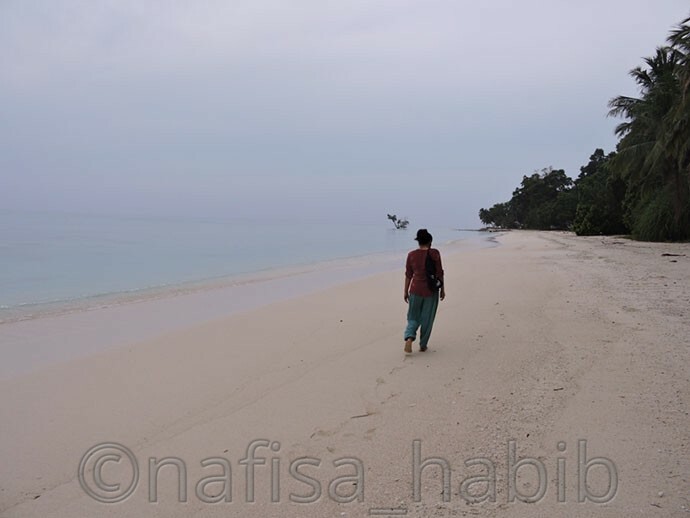 If you enjoy walking on the beach then Vijaynagar Beach in Havelock Island is the best one. You’ll definitely love the calmness and serenity of this beach here. Who will love to miss the opportunity to swim in a beautiful Radhanagar Beach? 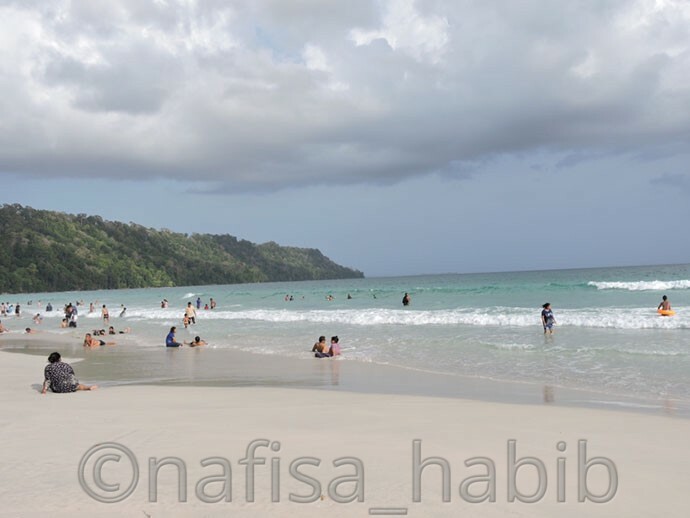 This beach is so pristine and so best for sunbathing and spending your relaxing time here. 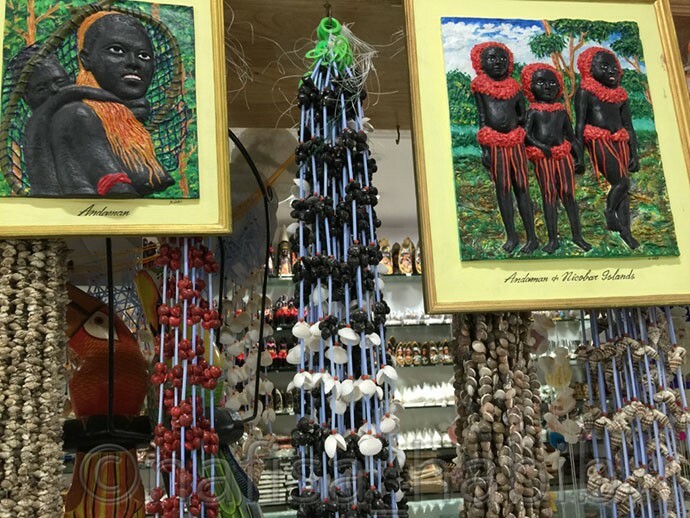 You should not miss visiting the local shell emporium shops where sells many eco items, artifacts, and souvenirs made out of the seashell, pearl, coconut shell, and wood. Best for gifting and keeping as memories from the Andaman Islands. I have visited Sagarekha Emporium in Port Blair and liked the Tribal Painting on wood. To me, the most picturesque beach is Vijaynagar Beach in Havelock. I enjoyed capturing a lot here. At early morning, the beauty of this beach is so soothing and calm. I loved the row of many Coconut and Mahua trees over here. It created an extra beauty on the whole beach. 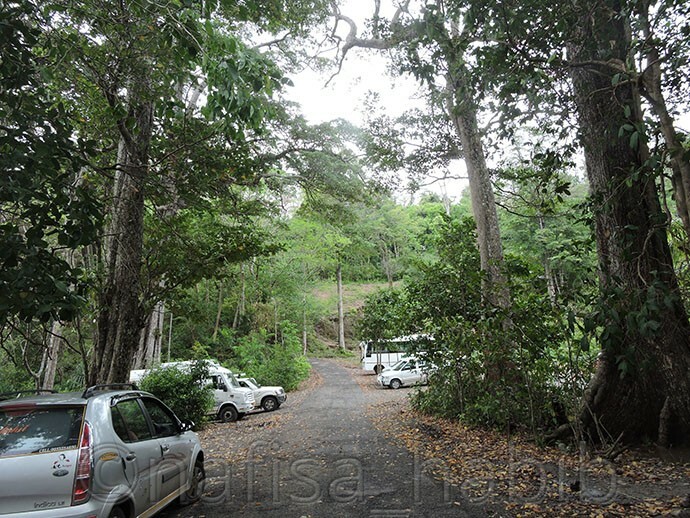 It was amazing to enjoy 45 mins drive through the lush green forest to reach Munda Pahar beach in South Andaman. There is really something so fascinating in the green forest, right? 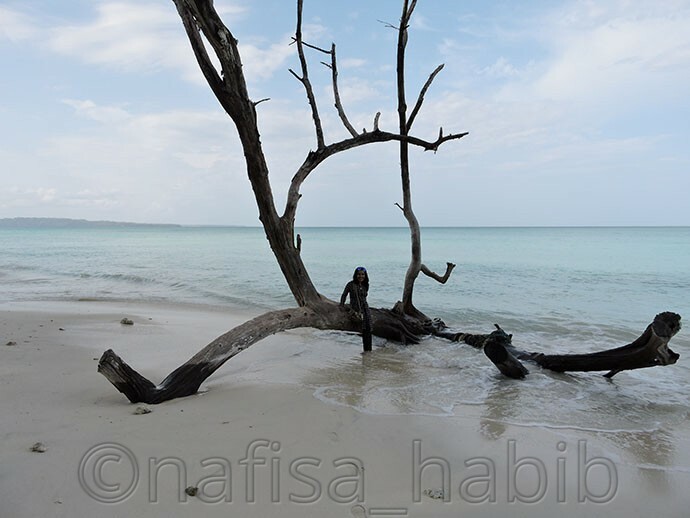 There are many old and long Sea Mohwa trees at Munda Pahar Beach. I loved to see many unknown trees over here for the first time. Various sit-out made out of Sea Mohwa and many other trees wood. Such a windy beach and you can enjoy the sunset too here. This destination runs by the Environment and Forests Department in the Andaman and Nicobar Islands. Share your thoughts. 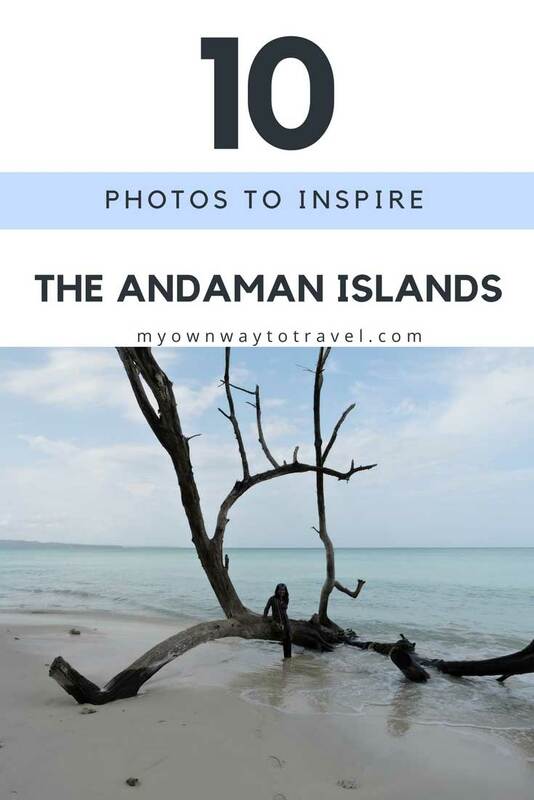 Which photo in the above inspiring you to visit the Andaman Islands? 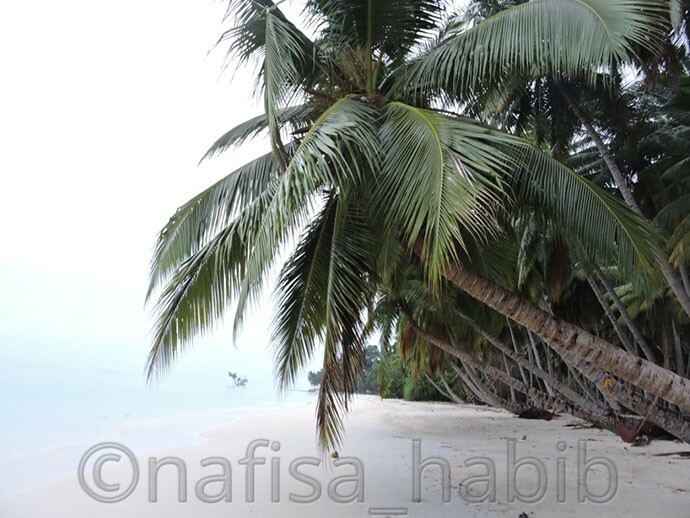 Beautiful photographs, Nafisa! Andaman is one of the most scenic destinations in India. Thank you Mohana 🙂 Yes, one of my top favorite destinantions in India. I didn’t see yet so pristine beaches in other state in India.